Applying floor finish is a very simple task when you know how to do it properly. Its final quality can be greatly impacted by the environment in which it is applied. Several problems may emerge during the finishing work. Before blaming the finish, read this article to learn what are the most common problems, how to recognize them and, especially, how to adequately resolve them. After the floor dries completely, marks from the path of the applicator are still visible on the surface. This problem can be caused by plenty of different problems: the applicator was in poor condition while applying the product, the applied finish coat is too thin or an excessive air circulation caused the finish to dry too quickly. The finish applied to the wood floor has a texture that resembles an orange peel. This can be caused by an insufficient quantity of finish applied on the surface, a finish or a substrate that was too cold before the application or the excessive use of an applicator. The dried bubbles that are visible on the surface of the finish can be caused by the application of an insufficient quantity of finish, by soap or other contaminants that were not removed before cleaning or by applying the finish coat on a floor that was too cold. Whatever sheen luster you want to give your floor, it is important to make sure you properly mix your finish before applying it, to evenly sand the surface and to apply the same quantity of finish everywhere. Otherwise, its sheen may be uneven. The floor’s wood grain texture is rough or is rising. 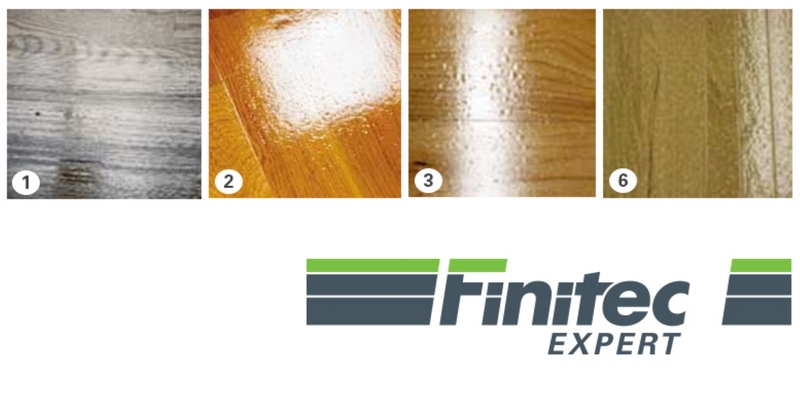 Several potential causes: Inadequate sanding prior to coating, insufficient drying time between the coats or insufficient quantity of finish on the surface. Circular, cloudy hazes with a clear center are visible on the surface of the finish. They are called fish eyes. They can measure up to one inch in diameter. What to look out for: contamination of the floor or finish with soap or other contaminants or inadequate stirring and mixing causing a non-homogeneous finish. To address these problems, wait for the finish to be completely dry, remove all the imperfections by sanding the surface and apply one or two additional finish layers. At all time, you can call our expert team; they will be pleased to answer all your questions.